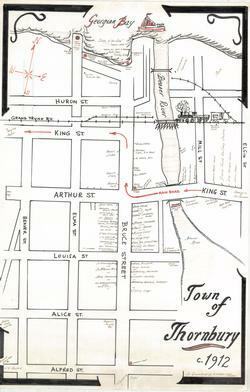 A hand drawn map of Thornbury, its businesses and residences, in around 1912. H. Elmer Cook, of Meaford, Ontario. 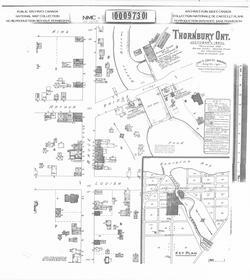 Map of Thornbury on October 1890. 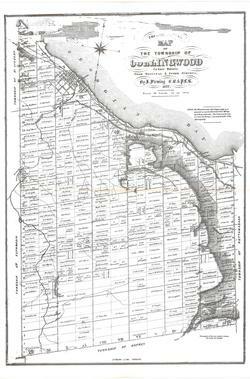 Population 1200, Water supply: Beaver River. 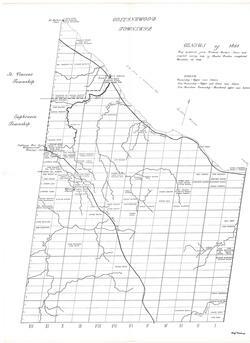 Map prepared from Richard Rorke's notes and Charles Rankin's original survey map. It was completed December 18, 1838. From original and other surveys by J. Fleming, 1872. "Occupants of lots are mostly owners, but some are tenants." "Scale: 40 chains to an inch."